The CLIVAR workshop: Atmospheric Convection and Air-Sea Interactions over the Tropical Oceans will be held in Boulder, CO from May 7-9, 2019. Organizers hope to engage a diverse group of scientists regarding atmospheric science, air-sea interaction, and the upper ocean. Abstract submissions are open until January 7, 2019. Registration deadline is April 26, 2019 (or until capacity is reached). [12-Apr-19] Abstract submission is now open for the 2019 EGU General Assembly session: Air-Sea Interaction Session. This session aims at fostering exchanges and discussions on the physical processes at work at the air-sea interface, their observation, and their representation in coupled numerical models. The deadline for abstract submission is January 10, 2019 at 13:00 CET. [10-Dec-18] This session highlights water cycle research that describes linkages between the ocean, atmosphere, and land hydrology. Contributions are invited on all aspects of water cycle research including analyses undertaken using in situ and remote observations from current (e.g., SMAP, SMOS, GRACE, GPM, GCOM-W, CMORPH-series), past (e.g., Aquarius, TRMM), and future (e.g., SWOT, GRACE-FO) satellite missions, estimates based on numerical models, data assimilation systems, and climate model projections. [09-Nov-18] This conference intends to bring together communities working on all aspects of ocean salinity investigations, including analyses undertaken from in situ and satellite observations, numerical models, and data assimilation. This will review most recent results and discuss further progress that is required. [29-Aug-18] NASA Physical Oceanography Program is sponsoring the Ocean Salinity Science Team and Salinity Continuity Processing meeting to be held at Remote Sensing Systems. The primary objectives of this meeting are to review recent work on sea surface salinity products and their applications, to discuss improvements in SMAP satellite SSS retrieval, and to develop a strategy for integrating SSS into the next Decadal Survey for Earth Science and Applications from Space. [08-Aug-18] Join salinity experts for a webinar featuring Aquarius and SMAP salinity data and demos of online data tools. [13-Mar-18] The purpose of this workshop was to develop a set of proposals that collaboratively address science questions in response to the SPURS-2 Synthesis Call. The main thematic science areas that the call asked to address included scales (e.g., large scale/seasonal, mesoscale/weekly, small scale/diurnal) and/or processes (e.g., air-sea interaction, upper ocean stratification, mixing), etc. [14-Feb-18] The major goal of this Working Group is to improve our understanding of the link between L-band satellite (SMOS, SMAP and Aquarius) remotely sensed salinity (for approximately the top 1 cm of the sea surface) and in situ measured salinity (routinely measured at a few meters depths by ships and ARGO floats but recently accessible to up to few cm depth by new profilers, and by surface drifters ...) and to develop practical methodologies for relating satellite salinity to other estimates of sea surface salinity. [12-Feb-18] Four sessions (3 oral and 1 poster) highlight research investigating ocean salinity as a key parameter that links various elements of the water cycle to ocean circulation dynamics and climate. Contributions are invited on all aspects of ocean salinity investigations, including analyses undertaken from in situ and satellite observations, numerical models, and data assimilation. [10-Apr-17] We are pleased to announce the newly redesigned PO.DAAC State of the Ocean (SOTO) visualization tool, version 4.0.0, now available online! [24-Jan-17] The ocean salinity field has emerged as a superior indicator of change in the water cycle and can provide new predictive capabilities for rainfall on land. Woods Hole Oceanographic Institution's five-day workshop will look at trends and variability in salinity and the water cycle; remote sensing of salinity and other water cycle variables; in-situ salinity measurements; and more. [03-May-16] The Physical Oceanography Distributed Active Archive Center (PO.DAAC) is pleased to announce the availability of the Level 4 optimally interpolated, 0.5 degree, near-global, 7 day sea surface salinity (OISSS) product for version 4.0 of the Aquarius/SAC-D dataset. [17-Mar-16] We are pleased to offer a new approach to understanding how to access, customize, and share NASA data. The Aquarius Data Visualization, Interpretation, Communication & Engagement (ADVICE) webinar series will consist of one-hour sessions held each Thursday in April at 11 AM PT / 2 PM ET. You can elect to audit any session or fully participate in the four-part series. [24-Sep-15] In the wake of the loss of Aquarius/SAC-D in early June, the Principal Investigators and Program Scientists have decided to proceed with convening an Aquarius/SAC-D science meeting in Buenos Aires, 17-19 November 2015. [11-Sep-15] Two new Aquarius data visualizations are available from NASA's Scientific Visualization Studio. [20-July-15] The PO.DAAC is pleased to announce the availability of the version 4.0 Aquarius/SAC-D data. This is the official NASA/Aquarius Project end-of-prime-mission dataset spanning the complete 3 year, 9 nine month period of Aquarius science data availability, from August 25, 2011 through June 7, 2015. This end-of-prime mission dataset does not preclude future reprocessings. 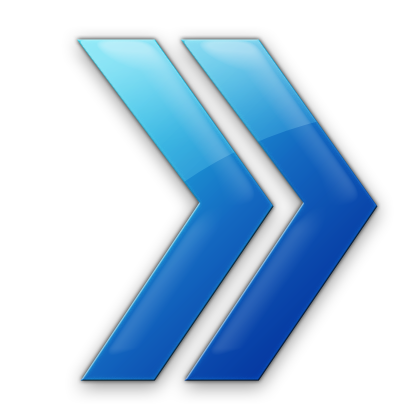 An updated version (V5.0) is planned for release in 2016, and subsequent updates will be released when measurable improvements are achieved. [18-Jun-15] With much regret and sense of loss for our science, we announce that the Aquarius/SAC-D satellite had a mission-ending failure related to the power supply electronics, on Sunday June 7th, 12:53:17 UTC. [16-Apr-15] In this special issue of Oceanography, Eric Lindstrom, Frank Bryan, and Ray Schmitt explore the results of SPURS-1, the first part of the ocean process study Salinity Processes in the Upper-ocean Regional Study (SPURS). [12-Nov-14] Two new visualizations of ocean surface salinity, celebrating over three years of successful Aquarius observations, are now available at NASA's Scientific Visualization Studio. [03-Oct-14] Join us for this year's Earth Science Week Webinar and hear how two NASA missions are observing changes in Earth's water cycle. [08-Sep-14] The Aquarius/SAC-D Mission has been operating for more than 3 years. The Special Issue of the IEEE Journal of Selected Topics in Applied Earth Observations and Remote Sensing (JSTARS) solicits articles on the Aquarius/SAC-D mission addressing the calibration/validation performance of the instruments and associated retrieval algorithms for sea surface salinity and other geophysical products. [02-Sep-14] The Aquarius/SAC-D Science Team Meeting will be held on November 11-14, 2014 in Seattle, Washington. [25-July-14] Polar-gridded data sets from NASA's Aquarius radiometer and scatterometer on the Satélite de Aplicaciones Científicas (SAC-D) platform are now available at the National Snow and Ice Data Center. [09-Jun-14] This new version implements additional advances to the Aquarius salinity retrieval algorithm resulting in further improvements to the quality of the data. [21-Mar-14] Aquarius Data Version 3.0 is almost here; the Aquarius/SAC-D/OSST Science Team Meeting will be held 11-14 November 2014; a Fall AGU special session on the scientific accomplishments from the Aquarius 3-year prime mission is being planned. [20-Feb-14] In response to a number of requests, the JGR-Oceans Special Section deadline has been extended an additional two months, through April 30, 2014. [31-Jan-14] The Aquarius V3.0 data release will be delayed until 20-Feb-14; the JGR Special Section deadline is 28-Feb-14 and the call for papers remains open until then; the next Aquarius/SAC-D Science Team Meeting is planned for 11-14 November 2014 in Seattle. [05-Dec-13] Soil moisture data from NASA's Aquarius microwave radiometer on the Satélite de Aplicaciones Científicas (SAC-D) platform are now available at the National Snow and Ice Data Center. [04-Dec-13] The JGR Special Section deadline has been extended; Aquarius/SAC-D Science Team Meeting presentations are now available online; the Aquarius V3.0 data release has been scheduled for January 2014; the 2014 Ocean Sciences Meeting special session on Ocean Salinity and Water Cycle Variability and Change is now set; and the 2014 EGU General Assembly will have two special sessions of interest on sea surface salinity variability and SMOS. [08-Nov-13] What kinds of science questions can we answer with ocean data collected from space? Join us for this free Spanish-language webinar on the Aquarius/SAC-D mission to find out! [01-Oct-13] The abstract deadline for the 2014 Ocean Sciences Meeting is Friday, October 4; the next Aquarius/SAC-D Science Team Meeting will be held 12-14 November 2013 in Buenos Aires, Argentina; and the U.S. Government shutdown will delay the release of Aquarius science data. [09-Sep-13] The 8th Aquarius/SAC-D Science Team Meeting will be held in Argentina the week of 11-15 November 2013; the Journal of Geophysical Research (Oceans) Special Section Early Scientific Results from the Salinity Measuring Satellites Aquarius/SAC-D and SMOS opened in July; and Aquarius data V3.0 will be released in late October. New SPURS Webinar Series Begins September 17! [06-Sep-13] Last winter, you heard from three scientists in the first SPURS webinar series share the interconnected and challenging ways water cycle and ocean salinity research can be done. After two ground-breaking cruises - just before the exciting last leg of the final expedition begins - we will hear from researchers about their insights into what is happening both "inside and outside" of this unique area. [29-Aug-13] The next Aquarius/SAC-D Science Team Meeting will be held in Argentina the week of 11-15 November 2013. [19-Aug-13] The 2014 Ocean Sciences Meeting (Honolulu, HI) has opened its site for abstracts. [26-Jun-13] Aquarius PI Gary Lagerloef is being featured during live breaks of the KCTS-9 TV (Seattle, WA) re-broadcast of the NOVA program Earth from Space. This groundbreaking two-hour special offers a new, space-based vision of our planet using data from Earth-observing satellites. [21-Jun-13] The Journal of Geophysical Research (Oceans) Special Section opens in July; Aquarius data V3.0 will be released in late September; and the next Aquarius/SAC-D Science Team Meeting will be held in Argentina the week of 11-15 November 2013. [22-May-13] A 20-minute radio interview with Aquarius PI Gary Lagerloef aired Tuesday, May 14, 2013, on "Soundings", hosted by Al Stahler, on KVMR-FM, Nevada City. The interview focused on how the mission has developed since Dr. Lagerloef's last interview with Al in September 2011 (after the "First Light" image was released). [13-May-13] A belated newsletter about recent and upcoming Aquarius science activities. [30-Apr-13] Presentations from the 15-17 April SMOS & Aquarius Science Workshop are now available (click on the links at the top of each session). [20-Mar-13] An Aquarius Calibration/Validation workshop was held 19-20 March to review Aquarius V2.0 data and establish plans for the V3.0 data release. [11-Jan-13] Abstracts for the SMOS-Aquarius Science Workshop (15-17 April 2013) are due on 18-Feb-13. [04-Dec-12] Aquarius Sessions at the 2012 Fall AGU Meeting can be viewed here. [27-Sep-12] The AQ Launch, Early Orbit Ops, and Commissioning Team is being recognized during JPL's 2012 NASA Honor Awards Ceremony on Thursday, October 18 on the JPL Mall. [02-Aug-12] NASA today presented the Exceptional Public Service Medal to Daniel Caruso, for exceptional management and leadership in the development of the joint NASA/CONAE Aquarius/SAC-D Mission, resulting in a successful launch and science return. [01-Aug-12] "Aquarius: One Year After Launch" has been published in the latest issue of NASA's The Earth Observer. This feature article gives an overview of the mission's first year accomplishments including early science results. [25-Jun-12] Sunday, June 10, marked the one year anniversary of the launch of Aquarius/SAC-D from Vandenberg Air Force Base, California. If you are as nostalgic as I am, you can view the launch sequence again. Today marks 10 months since the start of routine data collection on 25 August 2011. [13-Jun-12] Designed to advance our understanding of what changes in the saltiness of the ocean's top layer say about the water cycle and variations in climate, the Aquarius mission has had a busy first year. Already, its measurements of global salinity patterns have observed regional features like the freshwater plume gushing from the Amazon River, localized changes in ocean saltiness following a tropical storm, and the salinity structure of large tropical ocean waves that influence global climate patterns. [12-Jun-12] "A Measure of Salt" is the NASA Earth Observatory's image of the day! [14-May-12] Materials from the 7th Aquarius/SAC-D Science Meeting are available here. [27-Feb-12] The next Aquarius/SAC-D Science Team Meeting will be 11-13 April 2012 in Buenos Aires, and the date is fast approaching. This will be the first post-launch reunion of the joint US-Argentine Aquarius/SAC-D Science Team and will focus on instrument performance assessments and early science results. [21-Feb-12] PO.DAAC has released its new, interactive Aquarius Level 3 image browser. The browser allows navigation and viewing of PO.DAAC Aquarius imagery data holdings by time period as individual global sea surface salinity maps and animation sequences. All images are of global, 1 degree spatial resolution Aquarius Level 3 v1.2DR data. Learn more here. [17-Feb-12] Aquarius Level 3 data are now available at the PO.DAAC. Level 3 data are gridded onto a 1 degree x 1 degree grid. Both salinity and wind speed are available in daily, 7-day, monthly, and seasonally averaged files. The data should continue to be used for evaluation purposes only. Learn more here. [15-Feb-12] PO.DAAC has made available both Level 2 and Level 3 data for version V1.2DR of the Aquarius/SAC-D data set. [01-Dec-11] Today marks the beginning of the Aquarius Science Operations Phase with completion of the NASA Post Launch Assessment Review process. [23-Sep-11] I am pleased to say that an Aquarius "first light" image was the subject of a NASA Press Release on Thursday, and is generating quite a bit of excitement. [16-Sep-11] During the past week, the Aquarius instrument has continued operating in normal science mode, with all radiometer and radar channels performing well. [25-Aug-11] I am pleased to report to you all that the Aquarius instrument is fully operational in normal science mode. All the data channels appear to be working fine. [25-Aug-11] Today the Aquarius Science Team continued with the scatterometer gain assessment and collected data in full Mission Mode. The Aquarius instrument, with all its systems, performed nominally, as expected. A final X-band downlink is being analyzed by the team and will be presented at tomorrow's Aquarius Commissioning Subphase Review. This will mark the end of Aquarius instrument commissioning. [24-Aug-11] Wednesday, we completed the final stage of the Aquarius commissioning. We evaluated the overall performance after the start of radar transmission on one beam Tuesday night. We continued to find all indications of the health of the instrument were good. The radar data look very good as well. [24-Aug-11] After receiving concurrence from the Aquarius Science Team that no events correlated with the scatterometer turn-on could be seen in the radiometer data, the team proceeded to switch the scatterometer back to receive-only all-beams modes. The instrument also transmitted using all beams. The team is reviewing the x-band downlinked data. Tomorrow's (August 25) activities will include one final orbit to assess the scatterometer gain in transmit mode. After that, the team will monitor the system in the full Aquarius Mission Mode. [23-Aug-11] Tuesday, the instrument team and the calibration working group verified that the radiometer signatures were unaffected at the time that the scatterometer solid state power amplifier was turned on late Monday. So far so good. [23-Aug-11] Today the Aquarius Science Team reviewed radiometer data: no unexpected events were seen in the timeframe of the Solid State Power Amplifier turn-on and the results look consistent with the radiometer data collected the previous day. [22-Aug-11] Today, the calibration working group discussed various findings after a day or so of radiometer data. We are beginning to converge on consistent estimates of the radiometer brightness temperature biases for each of the polarization channels for each of the three radiometers. [22-Aug-11] Today a meeting was held with the Aquarius Science Team to discuss the radiometer data received to date, with unanimous agreement to proceed with the solid state power amplifier (SSPA) turn-on as planned. [21-Aug-11] The Aquarius instrument calibration/validation working group worked late Saturday and early Sunday on several aspects of the radiometer data quality from the first few orbits since it was turned on Saturday evening. All the radiometer channels are showing values that are consistent with pre-launch calibration. [20-Aug-11] Today's activities included completing the Flight Software Patches and Radiometer RF On. All commands were successfully executed, and all telemetry was verified to be nominal. Tomorrow's activities include setting up the Scatterometer parameters and then powering on the instrument. Nominally, Aquarius will be put into Mission Mode on August 26 with the Commissioning Review on August 27. [20-Aug-11] On Saturday evening the team powered-on the Aquarius radiometers for the first time in space. This occurred during the pass over McMurdo Ground Station, Antarctica. All the initial telemetry looked good. It was gratifying to see the many indicators turn green on the telemetry viewer. [19-Aug-11] Planned Flight Software Patches were installed. All commands were successfully executed, and all telemetry was verified to be nominal. X-band downlinks were performed before and after the patch installation to verify the integrity of the Instrument Command and Data System. The Active Thermal Controlled 4 thermal zones are exhibiting excellent thermal stability. [19-Aug-11] Friday, the Active Thermal Control (ATC) system brought key zones on the instrument up to their design operating temperatures. Very precise thermal control is necessary to ensure the proper sensor calibration once the science instruments are turned on later. The telemetry today showed that the ATC is working very well and the measured variations remained much smaller than the design requirements. [18-Aug-11] The Radiometer Digital Processing Unit was powered on today. The four Active Thermal Control (ATC) zones were configured for the nominal mission mode, and the four ATC zones were powered on. The ATC heater modules are operating at 100% until their control PRTs reach their setpoints. All commands were successfully executed, and all telemetry was verified to be nominal. Tomorrow, August 19th, will include turning on the radiometer and scatterometer replacement heaters, uplinking and installing the Scatterometer Flight SoftWare (FSW) patch, and uplinking the Science FSW patch. [18-Aug-11] Today's activities were quite calm relative to the past two days. The Aquarius team first executed commands to power-up the radiometer's digital processing unit. This was followed by sequentially powering on the four Active Thermal Control zones within the Aquarius instrument to bring them up to the planned operating temperatures. The telemetry readings were all positive throughout the day. [17-Aug-11] At approximately 12h02 local Cordoba Argentina time, the Aquarius boom was successfully deployed and latched, confirmed by the real-time downlinked telemetry. This completes the one-time deployment of the Aquarius antenna system. Tomorrow, August 18th, the team will turn on the Radiometer Digital Processing Unit and the Active Thermal Control. [16-Aug-11] At approximately 11h35 local Cordoba, Argentina time the Aquarius reflector was successfully deployed and latched, confirmed by the real-time downlinked telemetry. Tomorrow, Aug 17th, the Flight Operations Team plans to deploy the boom. 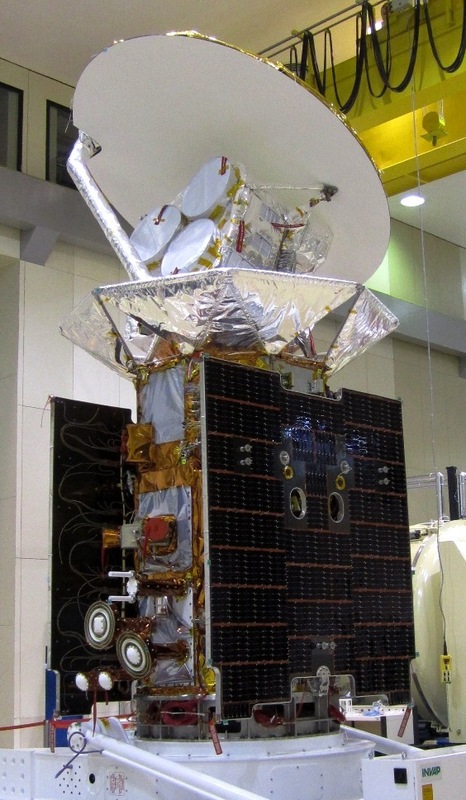 [16-Aug-11] Today, the first deployment stage of the Aquarius 2.5m x 3.0m parabolic antenna reflector was completed at 14:35 UT. The separation hardware released the reflector portion from its previously stowed position (since before launch). The deployment took place over the Arctic with coverage from Svalbard and Alaska tracking stations. [15-Aug-11] The Radiometer Digital Processing Unit (DPU) was turned on today and DPU telemetry was nominal. During the next few passes, the Op Heaters for the Upper Deployment Mechanism and Lower Deployment Mechanism were turned on to prepare for the reflector deployment on August 16 and boom deployment on August 17. The technical team in Cordoba, Argentina will go through the sequences to power-on Aquarius and start collecting the first data on Sunday, August 21 (Radiometer on) followed by the turn-on sequence for the Scatterometer (22-27 Aug). [15-Aug-11] For the next two weeks, the technical team at the CONAE ground station in Cordoba, Argentina will go through the sequences to power-on the instrument and start collecting the first-look data. [14-Aug-11] The Aquarius Instrument Control and Data System turned on at 13h32 UTC, as expected, on August 14 over Svalbard (an island halfway between Norway and the North Pole). Tomorrow, the Digital Processing Unit will be turned on followed by the Op Heaters in preparation for deployment. Deployment of the Aquarius reflector is scheduled for August 16th with the boom on August 17th. [13-Aug-11] Over the last few days the Aquarius team and the Flight Operations Team (FOT) completed planning and preparing for the Aquarius and FOT prerequisites required to begin Aquarius commissioning. [10-Aug-11] Last week, the Flight Operations Team focused their effort on initial orbit maneuvers. As of August 9th, the observatory is at the desired orbit. In Cordoba, Argentina, the Aquarius team established prerequisites prior to the start of Aquarius commissioning. There will be a final orbit maneuver after Aquarius and all SAC-D instruments are commissioned. [11-July-11] The SAC-D observatory is in the process of on-orbit checkout prior to turning on the instruments. The spacecraft is healthy and the telemetry looks good. Some delays have occurred with testing the attitude control system parameters. Turning on all of the Aquarius/SAC-D instruments is now likely to begin in mid-August and will take about one month. [10-Jun-11] NASA's 'Age of Aquarius' dawned Friday with the launch of an international satellite carrying the agency-built Aquarius instrument. Aquarius will measure the saltiness of Earth's oceans to advance our understanding of the global water cycle and improve climate forecasts. 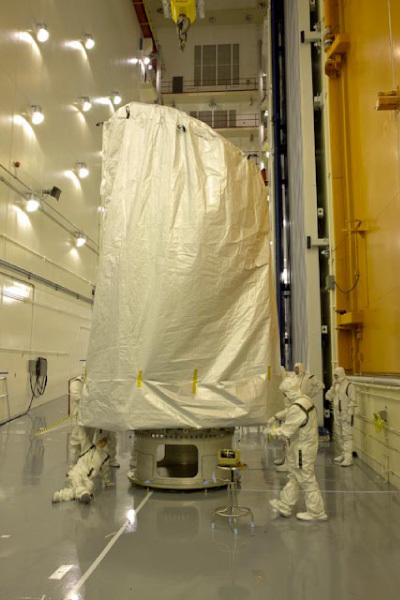 [09-Jun-11] The satellite observatory is nestled inside the top of a United Launch Alliance Delta II rocket. The following spacecraft events will be checked off as they occur: launch, fairing separation, coast phase, spacecraft separation, and solar array deployment. [09-Jun-11] Follow the NASA Launch Blog from countdown through launch! [08-Jun-11] The launch of the international Aquarius/SAC-D mission is postponed 24 hours until Friday, June 10, from NASA's Space Launch Complex-2 at Vandenberg Air Force Base, California. The 5-minute launch window opens at 07h20 PDT (10h20 EDT). [20-May-11] The canister containing the Aquarius/SAC-D observatory is lifted to top of the launch tower at Space Launch Complex-2, Vandenberg Air Force Base, California. [18-May-11] The Launch Vehicle Adapter (LVA) has been attached and mated to the Payload Attach Fitting, which is launch-vehicle hardware. On Friday and Saturday, the observatory bag was installed in preparation for transportation to the launch pad. The ground-handling can was then installed onto the S/C and the canned S/C was transferred to the trailer. [29-Apr-11] Less than two months before launch, team members conduct their final checks of the Aquarius instrument at the Spaceport Systems International Integrated Processing Facility at Vandenberg Air Force Base, California. Subsequent final instrument tests will be conducted on the launch pad. [31-Mar-11] After overnight crew rest, the second C-17 flight with the Aquarius/SAC-D observatory left San Juan, Puerto Rico at 11h36 local time on 30 Mar for the launch processing facility and launch site at Vandenberg Air Force Base (VAFB), California. [29-Mar-11] The US Air Force C-17 carrying the Aquarius/SAC-D observatory departed from Brazil today at 11h57 local time. There will be about a 7-hour flight to San Juan, Puerto Rico for an overnight stop, then on to Vandenberg Air Force Base (California) tomorrow. [26-Mar-11] The C-17 on-load in Sáo José began at about 08h20 this morning, and was completed at 10h10. The C-17 flight took off for San Juan, Puerto Rico at 11h30. 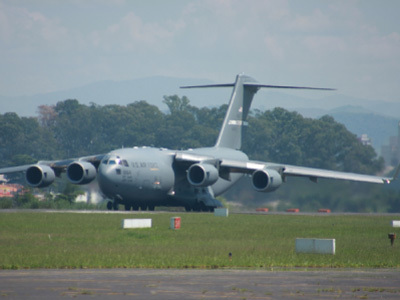 [25-Mar-11] The first C-17 plane arrived in Sáo José dos Campos at 09h45 today and will be loaded with support equipment. 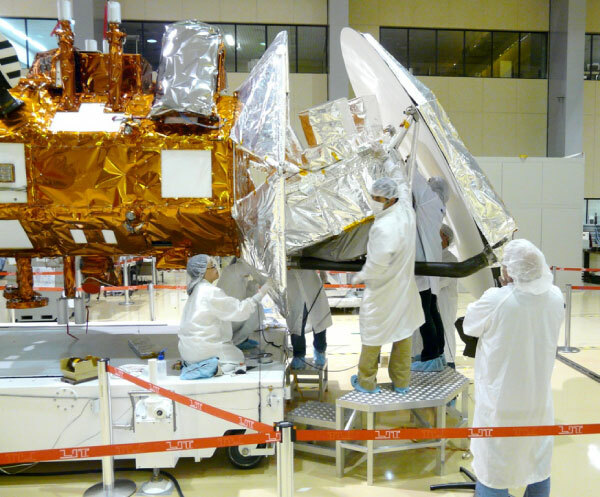 [23-Mar-11] Pallet loading of the Ground Support Equipment (GSE) has been completed. The GSE will leave Brazil on a C-17 on March 26th and arrive at Vandenberg Air Force Base on March 27th. In addition, the Aquarius/SAC-D Observatory has been lifted into its shipping container, destined for Vandenberg Air Force Base next week. 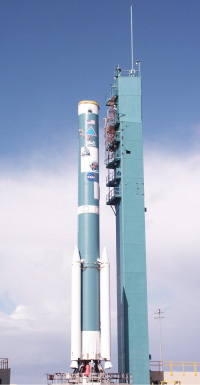 [21-Mar-11] The first (with solid motors and interstage) and second stages for the Aquarius/SAC-D launch vehicle have been erected at Vandenberg Air Force Base (VAFB). The Aquarius/SAC-D observatory will leave Brazil on two C-17 flights, arriving at VAFB on March 27th and 30th in preparation for launch on June 9th. [15-Mar-11] The Aquarius/SAC-D Pre Ship Review has been completed at Brazil's National Institute for Space Research. Air transport of the Aquarius/SAC-D observatory from Brazil to Vandenberg Air Force Base (VAFB) is scheduled for March 26th and 29th. 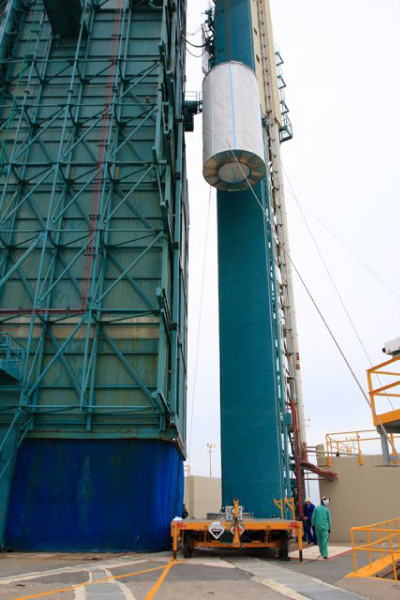 The first stage of the Delta II Rocket that will carry NASA's Aquarius instrument into low Earth orbit has been raised onto its launch pad at VAFB Space Launch Complex-2. [19-Jan-11] Aquarius MLI activities and post-t-vac cleaning/inspection tasks have been completed. All blankets planned for close-out at this time have been completed and inspected. All external MLI surfaces of the Observatory were cleaned, and white-light inspection showed no visible debris, thus meeting the VC-HS (visibly clean, highly sensitive) requirement. Molecular and particulate surface samples were collected after the cleaning/inspection for analysis. [18-Jan-11] The reflector and sunshade blankets have been completed. All thermal instrumentation has been removed as planned; the OMT test heaters will be grounded to the instrument. The flight grounding of all blankets has been installed and verified, with the exception of about a half-dozen blankets that will be closed out later. [17-Jan-11] MLI activities continue: the +/-X spacecraft bipods and the structure have been completed, and the mechanical close-out of the sunshade was finalized. The reflector MLI and the OMT covers are in work today. View our incredible pit crew in action around the instrument here. [16-Jan-11] The Aquarius team has started on the MLI activities that will continue all week. Specifically, general cleaning and inspection are being done to address the fall-out observed after the thermal-vac test. The thermal instrumentation (thermocouples and test heaters) will be removed, MLI grounding is being verified, and final lacing and close-out of the MLI is being performed. The Upper Deployment Mechanism (UDM), Lower Deployment Mechanism (LDM), Launch Restraint bipod/tripod, the feeds and the -Z spacecraft bipod have been completed. All activities are proceeding nominally. [15-Jan-11] INVAP has completed the S/P closed-loop AOCS test and the ACE special test. They demated the cabling to the spacecraft and rotated it to the horizontal position. The Aquarius EGSE cables were demated. To recover the schedule, the Aquarius team will be performing the cleaning and starting blanket activities on January 16th. [14-Jan-11] The Aquarius LPT was performed. All results are nominal. [23-Nov-10] While most Americans are traveling to family gatherings this week for Thanksgiving, a team of scientists from NASA's Jet Propulsion Laboratory and the Goddard Space Flight Center is flying down to Brazil to "cook" a salty NASA instrument that's sure to spice up studies of Earth's climate after its launch late next spring. [15-Nov-10] The Aquarius/SAC-D observatory has been moved into the thermal-vacuum chamber (6 meters by 8 meters) at Brazil's National Institute for Space Research (Laboratório de Integração e Testes - Instituto Nacional de Pesquisas Espaciais, LIT-INPE). Over the course of a few days, ground support equipment will be hooked up and the chamber door will be closed in preparation for Aquarius/SAC-D thermal-vacuum tests. [22-Oct-10] The Aquarius launch date has been updated to June 9, 2011. [02-Sep-10] During the external points measurement today, the covers were removed from the solar panels, giving a very good view of the Observatory. [26-Aug-10] The first panel has been successfully deployed. [25-Aug-10] The +X Solar Panel was successfully mounted on the SAC-D Service Platform yesterday on schedule. Deployment testing of this panel will take place later today. [28-Jun-10] The rest of the Ground Support Equipment for testing the Aquarius/SAC-D observatory landed safely at 12h40 local Brazilian time. 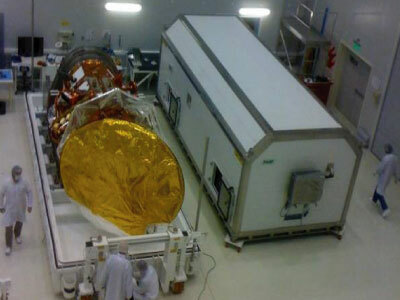 The cargo was safely and successfully transferred to the integration and testing laboratory at INPE (Instituto Nacional de Pesquisas Espaciais). This marks the start of the Brazil Environmental Test Campaign for Aquarius/SAC-D.
[27-Jun-10] The satellite convey has successfully transferred the observatory to the INPE/LIT facility. A second C-17 flight with the remaining pallets and ground support equipment is scheduled to arrive in Sáo José dos Campos, Brazil at noon tomorrow. 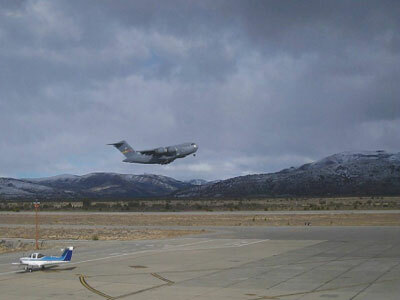 [26-Jun-10] Over the past couple of days, the Aquarius/SAC-D Observatory was moved from INVAP to the Bariloche airport, and then loaded onto a USAF C-17. The aircraft left Bariloche today and has now arrived in Sáo José dos Campos, Brazil where it is being unloaded. See a slideshow of this phase of the Aquarius/SAC-D Observatory journey in the gallery. [24-Jun-10] After months of integration and testing at the INVAP facility (Bariloche, Argentina), Aquarius/SAC-D has been boxed for shipment to Brazil's National Institute for Space Research (Instituto Nacional de Pesquisas Espaciais, INPE) Integration and Testing Lab, located in Sáo José dos Campos (near Sáo Paulo). At INPE, the Aquarius/SAC-D observatory will undergo final environmental testing before being shipped to Vandenberg Air Force Base in California for launch. View a slideshow of the INVAP integration and testing phase in the gallery. [15-Apr-10] The thermal blanket patterns for the Aquarius bipod were completed after routing the flight harness from the SAC-D Service Platform (S/P) to Aquarius. [13-Apr-10] On Monday, April 12, the installation of the Aquarius Instrument onto the SAC-D Service Platform (S/P) was successfully completed by the JPL and INVAP integration teams. [26-Jan-10] Several tests representing significant milestones in the Aquarius Electrical Integration process have now been conducted. [23-Jan-10] The Aquarius power interfaces and Service Platform (S/P) temperature sensors have been connected to the S/P. An abbreviated Aquarius Limited Performance Test (LPT) was executed. In the LPT, the Aquarius subsystems were powered up, including all radiometer strings and the scatterometer. All subsystems are nominal. [09-Sep-09] The 5th Aquarius/SAC-D Science Meeting has been scheduled for 21-23 October 2009 in Buenos Aires, Argentina. This year's theme is Science Data, Research and Applications. 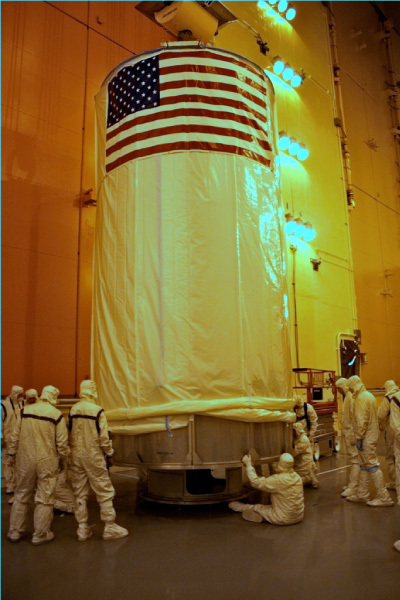 [01-Jun-09] JPL's Aquarius instrument is shipped to Argentina for integration onto the SAC-D observatory. [11-May-09] The 5th Aquarius/SAC-D Science Meeting has been scheduled for 21-23 October 2009 in Buenos Aires, Argentina. [08-May-09] A pre-ship review meeting for the Aquarius instrument was held today. 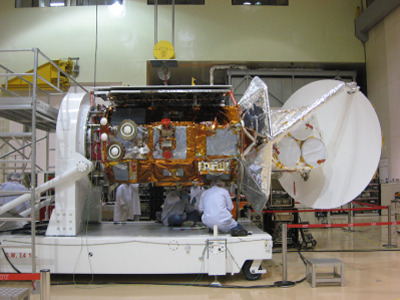 The instrument will be shipped to Argentina on 01 June 2009. [11-Dec-08] Aquarius Principal Investigator Dr. Gary Lagerloef convened an American Geophysical Union Special Joint Session today entitled Climatic Variability in the Marine Freshwater Cycle. [01-Dec-08] The 4th Aquarius/SAC-D Science Workshop was held in Puerto Madryn, Chubut, Argentina on 3-5 December 2008. [24-July-08] The Aquarius/SAC-D Observatory passed its Mission Critical Design Review, held 21-24 July 2008 in Buenos Aires, Argentina. [30-Jun-08] Dr. Sandra Torrusio has been named the new SAC-D Principal Investigator. Dr. Torrusio has specialized in remote sensing applications to natural resources and disaster management since 1989. She is the author of over 40 publications and presentations in national and international meetings, and a participant in international courses. Dr. Torrusio received her Ph.D. in Natural Sciences at the National University of La Plata in 2003. [15-Feb-08] The objective of this program element is to select a new U.S. Ocean Salinity Science Team to support and participate in the U.S./CONAE Aquarius/SAC-D mission and joint Aquarius/SAC-D Science Team. Solicitation closes on 30-Oct-08. 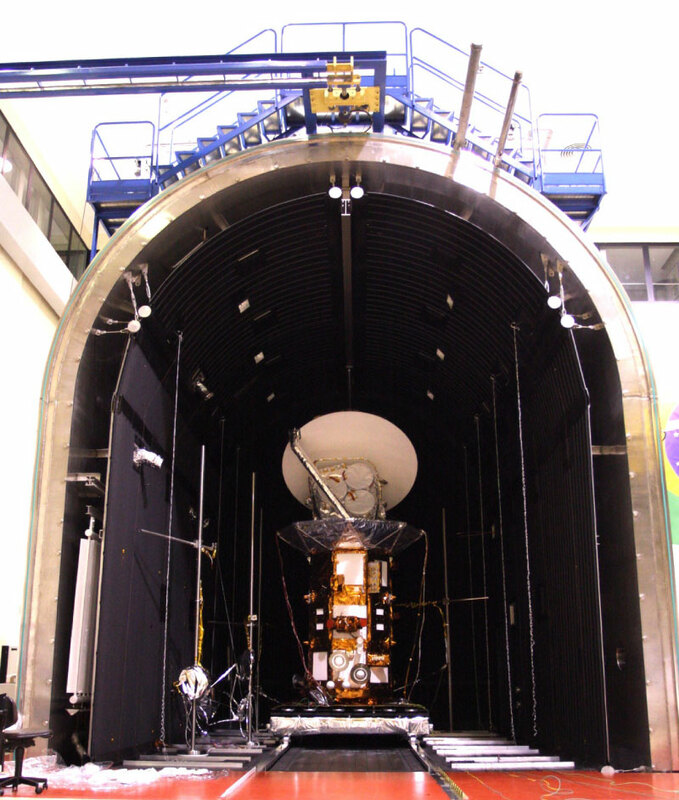 [31-Jan-08] After a four-year development effort, the NASA Goddard Space Flight Center (GSFC) has delivered the Aquarius Radiometer to the Jet Propulsion Laboratory (JPL) in Pasadena, California. The Radiometer, built by an in-house team of scientists, engineers, and technicians at GSFC is part of the international Aquarius/SAC-D mission. The Radiometer will be integrated with the Aquarius instrument at JPL.